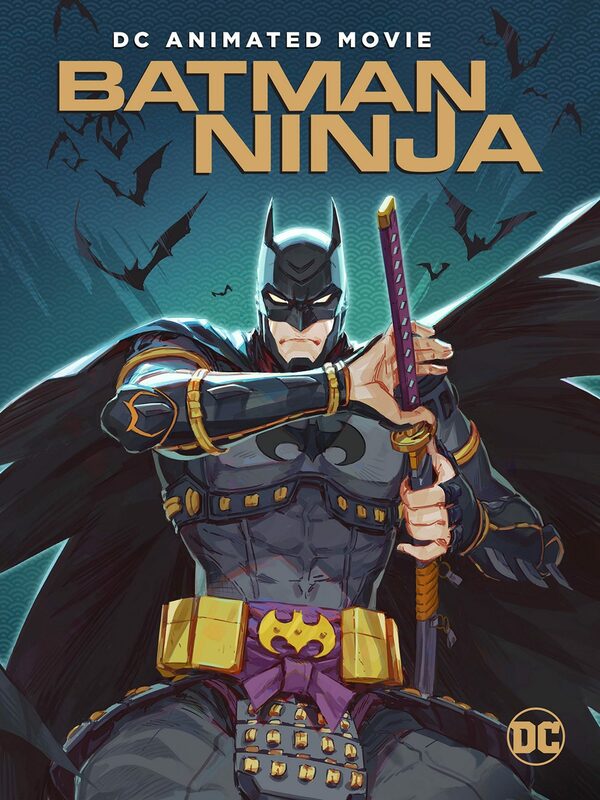 Plot – Batman, along with a number of his allies and adversaries, finds himself transplanted from modern Gotham City to feudal Japan. 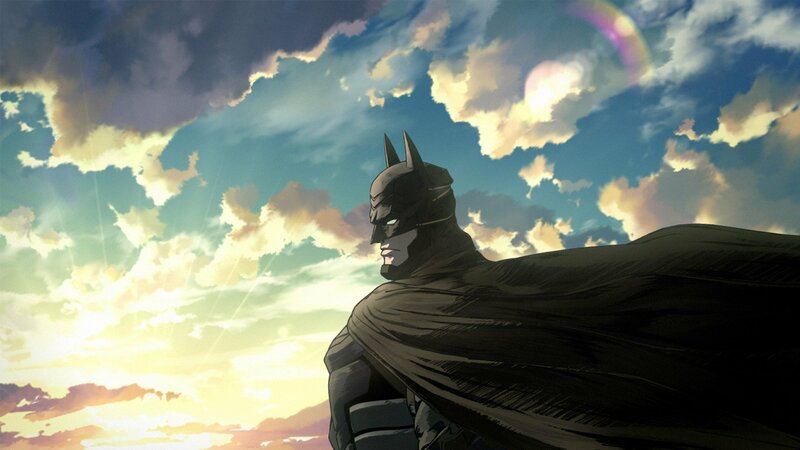 As much an Anime starring Batman than a Batman film done in a different style. 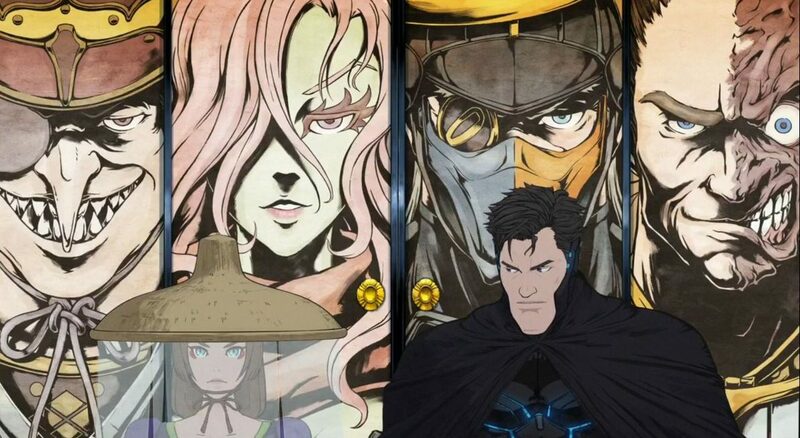 Batman Ninja, released in 2018, is an interesting addition to the DC Studios animation stable. Opening at Arkham Asylum we find Batman doing his usual, this time Gorilla Grodd being the adversary. 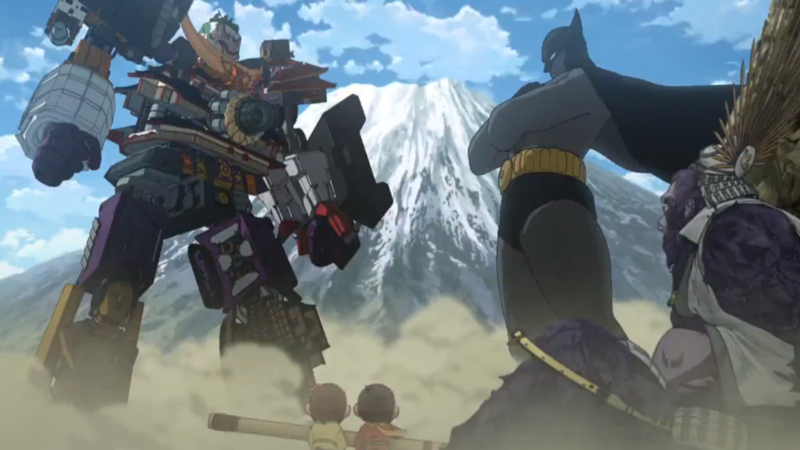 Grodd has built a time machine and activates it sending him and Batman back to ancient Japan, and two years have passed between everyone else arriving and Batman arriving. As it was Arkham that got transported back along with Grodd and Batman it comes as no surprise that the residents of Arkham have all become Feudal lords of their own territories and are set on destroying each other. Joker (with Harley alongside for good measure) is currently the resident of Arkham Castle which holds the Quake Engine capable or sending them back home. 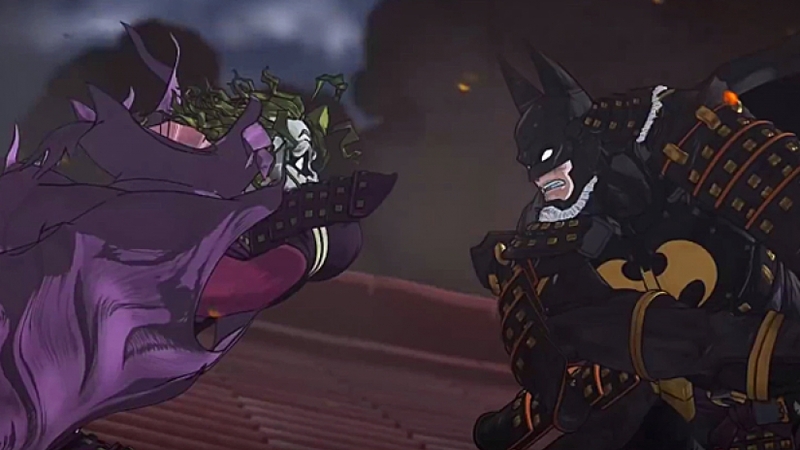 The story then weaves in and out of battle after battle from simple Joker v Batman hand on hand combat, to Batman using his bike to transform into Armoured Batman to fight a Sumo Bane. Penguin, Poison Ivy, Deathstroke and Two-Face all are lords of their own realms and without giving too much of the plot away are manipulated by Grodd to building their own robotic castles which, no joke, all end up combining in some homage to Power Rangers..
Stylistically I quite enjoyed this. 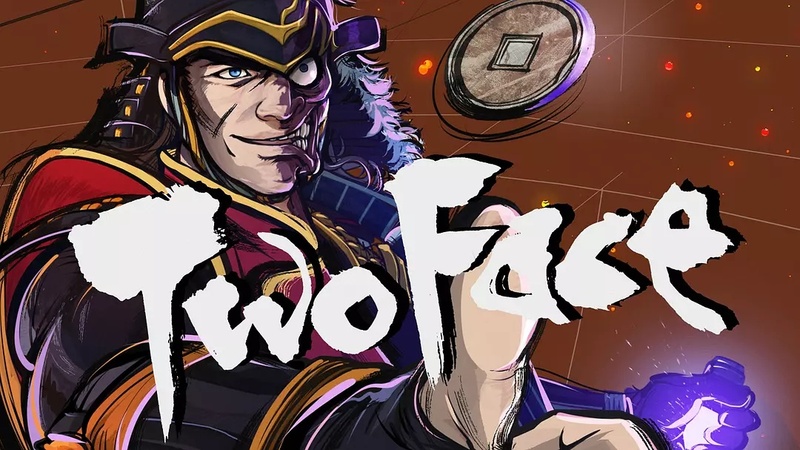 Character designer Takashi Okazaki who created Afro Samurai is the lead designer and in an interesting move part of the film is animated in a different style before reverting back. 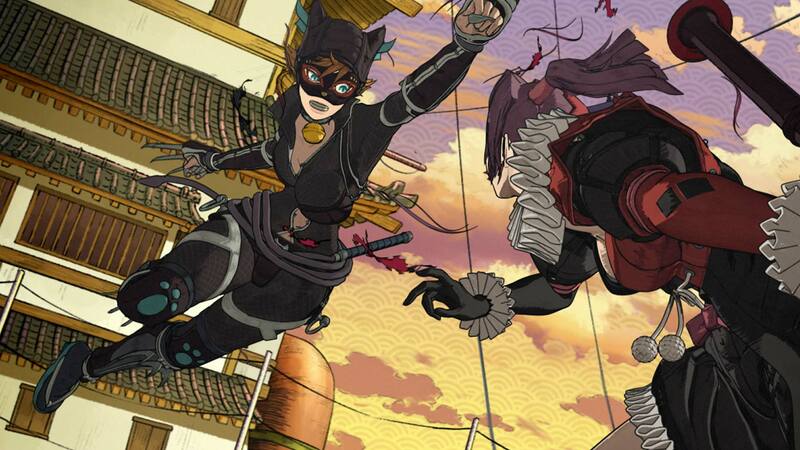 A nice fact I found while reading up on this after I had watched, the English version was rewritten so much so that the Japanese version is practically a different film… might be something I need to check out. Stand out moment – the initial reveal of all of Batmans enemies as Feudal lords, Deathstroke and Two-Face being the highlights. 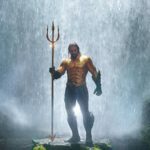 Box Office – was not released in cinemas. Score – 7.5 out of 10. Solid entertainment but nothing hugely ground-breaking.